For one night only, Chase PR and HOKA ONE ONE took over the premium KXU Gym in the heart of west London for an exclusive event to celebrate the launch of the new Fly at Night Collection. 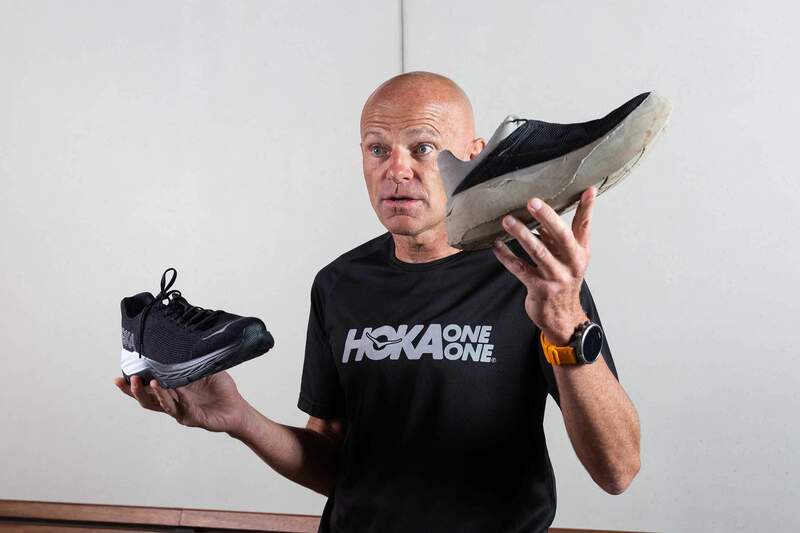 The night started with HOKA co-founder Nico Mermoud sharing the story behind the brand. From the over-sized prototype built to help people run faster on the mountains to the stylish and responsive FLY AT NIGHT COLLECTION fit for the road, gym and everywhere in between. It’s been quite an evolution. HOKA athletes JENNY NESBITT and ADAM HICKEY were on hand to share some insight into the life of a HOKA elite athlete. They also told us what flying in HOKA means to them and explained more about the unique features of the FLY AT NIGHT COLLECTION. Specially designed for running at night, the FLY AT NIGHT MACH features black reflective logos, a reflective heel tab on the lightweight upper, and a reflective midsole. It is a versatile running shoe with a bold, black as night look designed to help you meet the night head on. Made for those who run but don’t just run, the FLY AT NIGHT CAVU isn’t just built for the outdoors – as the evening’s HIIT and Run sessions proved. The Cavu features our much lauded “intelligent” PROFLY cushioning. Softer in the heel for shock absorption and firmer in the forefoot for propulsion and energy return – the perfect ammunition for a workout that involved dumbbells as much as it did treadmills. Everybody was put through their paces as they got the chance to put the Fly at Night Collection to the test. The results?